TTP is hiring for the Fall 2019 season. Applications without a formal resumé will not be considered. 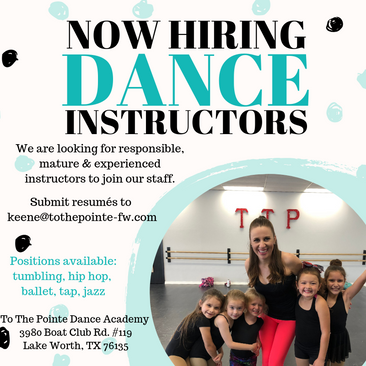 Must have strong dance technique, teaching experience is preferred. Must be available weekday evenings.